It is highly recommended to invest in a good pair of binoculars. The Nikon Monarch 10 x 42 is great value. 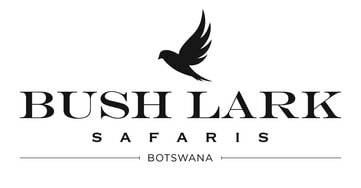 We will be spending many hours each day watching and photographing Botswana’s wildlife. A decent DSLR is recommended with a wide-angle lens and a zoom lens. Wildlife viewing, birding and photography requires huge amounts of time and patience. Each morning we take a tea and coffee box for a mid morning break served with biscuits or rusks. Some days we carry a picnic lunch with us allowing us to stay out all day. Morning and evening light is most favored by photographers, however, Botswana’s beautiful light allows for photography, birding and game viewing all day long. We like to get up early and start the morning pre dawn to experience silhouettes and back lit scenarios from a photography perspective and it is also the time that the predators are most active. Evening sunsets are great opportunities for light and landscapes as well as predator behavior. Passport should be valid for 6 months after your departure date. Most countries don’t require a visa to enter Botswana. Upon arrival you will be issued with a tourist visa with a maximum of 90 days per annum. If you are travelling to Zimbabwe or Zambia after your time with us, you will need to pay for a visa at the Kazangula border crossing. This is around USD 40.00. We advise that you have approximately USD 50.00 tucked away for this. Double check with your local Botswana Embassy if you are not from the USA or Europe for visa requirements. We carry basic first aid kits in all our vehicles and our guides are trained but we can’t carry everything. If you have any medications you know you will need while with us bring enough for the duration of your trip (and keep them in your hand luggage). If you have any changes to your health prior to your arrival, please let us know. For inoculations, please contact your GP or health provider. You will be travelling to a malaria zone. Contact your GP or health provider and take action as to what they recommend. We suggest paying a little more for your tablets as some have side effects such as nausea, headaches and sun sensitivity. If you are travelling to Zambia or Zimbabwe you may need a yellow fever certificate. Contact your GP or health provider for more information. Here in Botswana we have no problems when it comes to sunny days but the sun can be harsh. At some point on your drive you will be in the “sunny seat” so remember to pack nuclear strength sun screen, a wide brimmed hat and sun glasses. Also long sleeved shirts and a thin shawl can help protect your skin from the mid day sun. September through to April is our summer with the hottest month being October. Daytime temperature can reach as high as 45˚C (113˚F). Average daytime temperatures are in the mid thirties with nighttime temperatures in the twenties. Our winter is May through to August. In the coldest month, which is July, temperatures at night can be as low as freezing, although uncommon. Early morning game drives at this time of year can be particularly chilly. We provide blankets for those early morning/late evening drives but we also recommend gloves, fleece and beanie to keep you toasty before sunrise. If you are travelling in the winter, don’t forget you’ll still need sun screen and hat during the mid day heat! Neutral earth tone clothing is a must. By sticking to the color palette of khaki, stone, olive, grey, etc. you won’t stand out. Camouflage clothing is, on the other hand, not advisable. Make sure they are lightweight and preferably cotton so your body can breathe. Also a good pair of walking shoes is essential along with a pair of sandals. Both should have a sturdy sole, as the thorns here can be quite impressive. Crocs are good as they can be washed but Merrell is a great brand of hiking shoe you’ll wear as slippers when you get home. Our summer (Sep-April) is when our rains come. During the day the clouds build up for a late afternoon shower with the heaviest rain in December. If you’re traveling during this time bring a waterproof poncho or raincoat for the surprise showers during your drive. • Summer Safari Wardrobe: T-shirts and light weight cotton shirts (UV resistant fishing shirts are great and dry quickly) Cotton shorts and long trousers for after sunset against those pesky mosquitoes. As the name suggests, winter (May-Aug) can be very chilly. As I’ve already mentioned it can get to below zero degrees C but during the day the temperature can reach as high as 25-30˚C (77˚F- 86˚F). Layering is a must and fairly easy way to cope with the changes in temperature. • Winter Safari Wardrobe: Heavy cotton shirts and a fleece, wind breaker, gloves, fleece hat that covers your ears and a shawl to stop that cool breeze down the back of your fleece. This may sound like over kill for an African adventure but trust us, you’ll be happy we told you. But don’t forget the shorts and t-shirts. Not only are they good as extra layers when you leave camp first thing, you’ll feel the benefit at lunchtime. Camping in the great outdoors is a truly an amazing experience but it does come with a few risks. We, in Botswana, are very lucky to have animals roam free with over 30% of Botswana’s landscape dedicated to wildlife and staying in these wild places is a true privilege. Due to this we recommend you are extremely vigilant during your time in camp. You never know who will come to visit. Night time is particularly important, as our eyesight is not as well adapted to twilight as our furry friends. The camp will consist of a dining tent, dome tents with bedrolls with toilet and bucket shower cubicles to share. Flights to and from Johannesburg to Botswana have a luggage weight restriction of 20kg. A Duffel/soft bag is highly recommended as they pack easier into the vehicle. (although pack all fragile items in your day pack) Hard cases are not wise and wheelie cases are impractical in thick sand. For your journey through Botswana you will be driven in what we call a “Safari Limo” which is a Land Rover/Cruiser game viewer. These are specially adapted vehicles where a frame that sits on the car with bench seats to give you maximum space and view of the landscapes and wildlife you’ll encounter. These can be tricky to climb in and out of but you’ll soon have your own technique and will be a pro by the end of your trip. If you suffer from back problems or have any mobility issues, please let us know in your form so we can help. IPads, IPods, Kindles, Laptops, Digital Cameras…. Our lives are dominated by electronics. As you can imagine travelling to remote parts of Botswana wilderness makes electricity hard to come by. But have no fear…. we can charge your batteries using our Inverters. These are 220V inverters that are hooked up to the car for all your charging needs. Also remember to grab an M-type South African plug adapter just in case. These have 3 round prongs. The local currency is PULA but Dollars and Euros are easily exchangeable and required if you travel to Victoria Falls in Zambia or Zimbabwe. Also, if you have an IPad, there are some great apps such as e-birds. We also recommend bringing a novel to read for those quiet afternoons in camp as well as a bit of nighttime reading.